The Costa Blanca is much more than a destination with a good climate and beautiful beaches and coves; it is also an area which offers a huge variety of cultural and leisure options to enjoy. 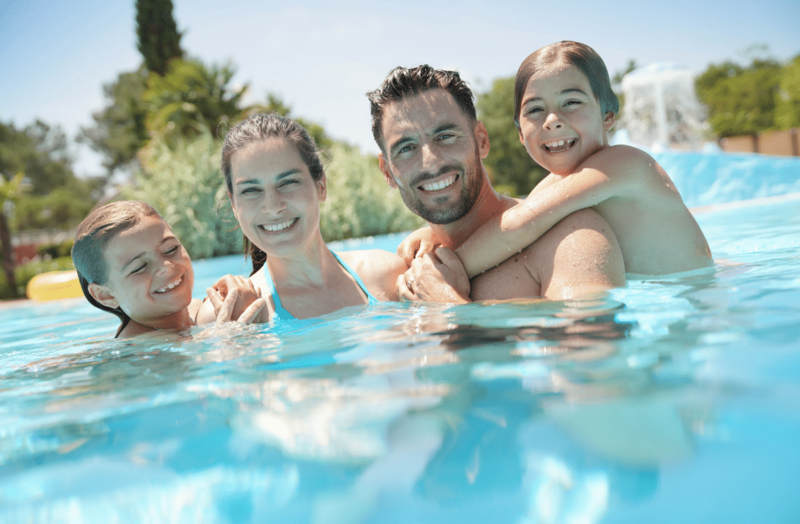 When you live in Cumbre del Sol Residential Resort, you’ll find fun for the whole family. Less than an hour from Cumbre del Sol is Benidorm, one of the cities in Alicante with the most going on. The city is home to the area’s best theme parks as well as activities for all ages and tastes. Take note and get ready to enjoy some family adventures! If you want fun and thrills, Terra Mítica is the perfect place to spend a family weekend surrounded by attractions, rollercoasters, and all types of shows for the young… and the young at heart! This Benidorm theme park immerses visitors in ancient Mediterranean civilisations by dividing the park into five areas: Egypt, Greece, Rome, The Islands, and Iberia. To recharge your batteries, there are also several cafés and restaurants where you can rest and relax. Are you ready for an adventure? Terra Mítica opens its doors once more for the spring/summer season on the 13th April. Terra Natura Park, in Benidorm, is also a great place to visit with the family. Animal lovers in particular will enjoy themselves here, as there are over 1,500 animals of 200 different species. This is a next generation zoo where visitors can observe and come into contact with the animals in spaces which recreate their natural habitats, a new concept known as “zoo immersion” which provides a variety of activities for fun and learning with the family. Another option for a day out in nature surrounded by animals is Mundomar, a park with different species of mammals, birds, and reptiles which also offers a range of shows and unique experiences such as swimming with dolphins or sea lions. During the hot summer months, it’s not only beaches you can enjoy in Benidorm; there are also several water parks such as Aqua Natura, which is located next to Terra Natura and will be open from the 26th April, and Aqualandia, which will open on the 25th May. Both are home to a range of water-based attractions for all tastes and ages and are sure to offer an unforgettable family experience. Aside from Benidorm, close to Cumbre del Sol there are lots of other towns where you can enjoy some great family days out. For example, in L’Alfàs del Pi you can see the fun and original themed shows at the Conde Alfaz castle, which begins its season on the 6th April with the Medieval Robin Hood: a dinner-show set in 12th-Century England. It will be an unforgettable adventure which will place you in the heart of the action. Are you a family of chocolate lovers? In Villajoyosa’s Valor chocolate museum you’ll have the opportunity to learn where chocolate comes from and all about the production process. Prefer museums? Then don’t miss the Guadalest Miniatures Museum, located in a charming area in the natural surroundings around Guadalest Castle, the ideal place to enjoy with the family. If you’re looking for other outdoor activities, you could also choose to go go-karting at one of the centres in Javea, Teulada, or Benidorm, or maybe go to Altea to play minigolf at Mundigolf. Cumbre del Sol Residential Resort offers a variety of options for you and your family, so don’t miss the updates on our blog and our social media channels to stay up to date with everything that’s going on in the area.